K9 officers are some of the unsung heroes of law enforcement. Canine units have actually been in use in America since the early 20th century. In that time they’ve kept billions of dollars in drugs off the street, saved hundreds of thousands of lives, and been an invaluable component of many successful search-and-rescue operations. If you’re a K9 handler you no doubt feel an immense sense of responsibility toward your partner. Keeping your dog safe in the field isn’t just a job requirement, it’s a personal mission. 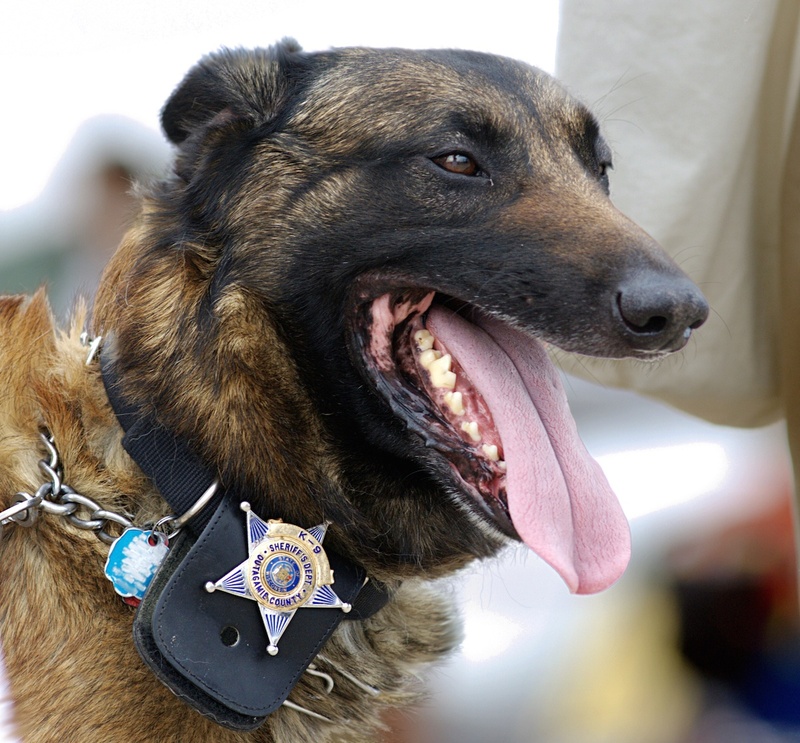 Here are three distinct ways you can help protect your canine officer in the line of duty. Real-world experience has shown the difference protective vests can make in saving the life of a canine companion. Canines are often the first in danger in an active situation: checking the premises, searching for victims, and otherwise investigating the unknown. Well-designed K9 duty vests provide unsurpassed protection for dogs. Constructed from durable, lightweight materials, Vel Tye’s canine vest solution is the only one on the market that protects the dog’s vulnerable abdominal area from blades, shrapnel, and other threats. A good vest will fit your animal comfortably, breathe well, and distribute weight evenly. Recently, a federal law was passed that upped the penalties for harming or killing a police dog. Perpetrators are now subject to up to $1,000 in fines and up to 10 years in jail. Penalties like these are great ways to discourage “bounties” on police dogs, specifically, but they can be enhanced even further at a local level. Consider talking to your department about offering rewards for tips about police dogs in danger and even passing local laws that raise penalties for harming these selfless animals even further. One of the best ways you can protect your animal in the field is to protect yourself. Your K9 partner depends on its handler for guidance and if you’re indisposed, your dog is on his or her own. Carrying a first-aid kid, radio equipment, and suspect-incapacitating zip ties in your pack at all times is one way to ensure you’re ready to protect your dog when circumstances are uncertain. Looking to provide even more protection to your K9 unit? Vel Tye specializes in world-class police dog vests and we also offer a variety of field-ready tactical gear for handlers. Vel Tye products are USA made and duty-tested. Give us a call today to find out more.